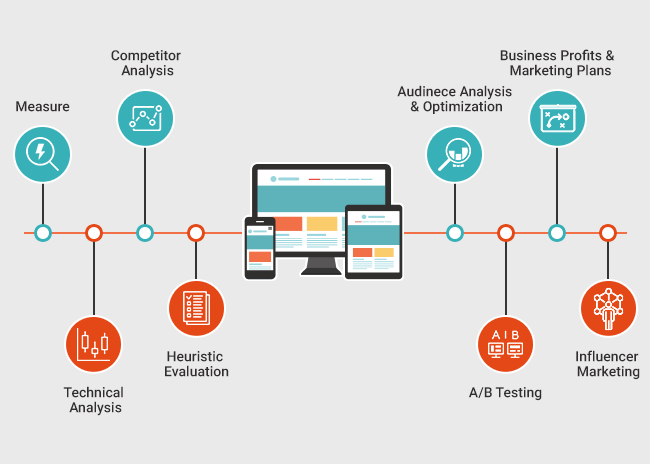 We at OSCPROFESSIONALS provides end to end conversion optimization solutions to deliver top-line growth by strategizing how customers convert on your website, how they engage with you, and how you can retain them. We help to generate more leads and sales, increase average order value, reduce abandonment cart, and increase user engagement. We have experience in all verticals from Vehicle parts, electronics, health and wellness, clothing and accessories. Our consulting team will do requirement gathering from your internal team and analyze & define the strategy for optimization program. We analyze your website analytics data to find what your visitors are paying attention to, bounce rate, where they are failing to get the desired data on the website. Our experts and conversion strategists will define strategies for maximum effectiveness and conversions. Our eCommerce strategist keeps watch on the statistical data from analytics and come up with reports. We always do a comparison and analysis of current data with past data to re-define the strategic approach to convert visitors to customers.